A recent report from Beecham Research predicts the rapid growth of the M2M Connected Devices market with cellular modules sales predicted to reach $2.2 billion in 2019. Faster growth of wireless terminals is predicted with M2M wireless terminal sales expected to more than double in revenue terms from 2014 in the period to 2019. Factors influencing the M2M market include timing, pricing and acceptance of new technologies offered by established cellular networks competing or collaborating with connectivity alternatives such as mesh networks and satellite. Migration of M2M devices to 4G LTE and 3G technologies is set to continue with the closing of 2G networks and the increasing sophistication of M2M applications driving the need for higher speeds.Multi-hop mesh protocols, such as TinyMesh and Zigbee, provide the capability to link together low data-rate machine-to-machine (M2M) applications with cellular gateways. Satellite offering unparalled worldwide connectivity is also seeing increased use for reliable M2M communications. Rapid development of new M2M products for specific markets has been made possible using the latest chipsets, choice of operating systems and a variety of standards based firmware. If you would like further details on any item in this newsletter please click here to request more information. NV08C-RTK-A receiver for RTK and Heading Applications from NVS Technologies AG. The NV08C-RTK-A is fully integrated multi-constellation satellite navigation receiver with embedded RTK functionality. 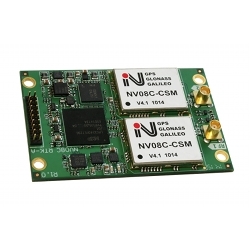 THE NV08C-RTK-A offers low cost and low power consumption in a small form factor with uncompromised performance. The VeraPhase™ 6000 from Tallysman is a full GNSS Constellation antenna. The VeraPhase antenna provides the lowest axial ratios (horizon to horizon, over all azimuths) across all GNSS frequencies. The antenna also provides exceptional front to back ratios, high efficiency (>70%), a tight PCV (± 1mm), and near constant PCO for all azimuth and elevation angles, over all in-band frequencies. 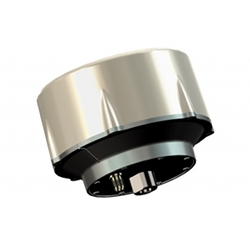 The performance of the VeraPhase™ rivals any geodetic / reference antenna sincluding choke ring antennas but is lighter, smaller, and more economical. Benefits of this antenna include broadest tracking elevation (0°-180°),extreme precision, excellent multi-path rejection, excellent signal to noise ratio, and IP67 and RoHS compliance. The performance of the VeraPhase™ rivals any geodetic / reference antenna including choke ring antennas but is lighter, smaller, and more economical. M2M Connectivity is offering a 21 day Evaluation Program for any customer wanting to test this antenna before purchase. The COR IBR600 is an affordable, highly featured compact router designed for critical business and enterprise applications needing 24×7 connectivity. The COR IBR600 ensures maximum uptime and is ideal for use in installations such as ATMs, kiosks, surveillance, vehicles, etc. Providing instant network connectivity, the COR IBR600 has failover/failback so that when configured, the router detects network failures and seamlessly switches over to another active connected data source. The router supports both wireless and wired Internet connections (two Ethernet ports for either LAN/LAN or WAN/LAN) and the WiFi offers Wireless 2×2 MIMO “N” WiFi (802.11 b/g/n). It is certified for shock and vibration in accordance with MIL STD 810G and SAE J1455 so you can be confident in the device’s ability to survive challenging environments. The COR IBR600 provides secure and reliable VPN functionality, Use with Cradlepoint’s Enterpise Cloud Manager to easily centrally manage the distributed locations within your enterprise network. 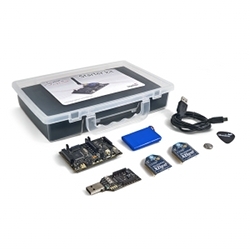 The Waspmote platform is a great way to implement Internet-connected sensor networks for IoT and wireless sensor network applications. Libelium’s Waspmote provides different options for network and Internet connectivity and offers a wide range of sensors. The different Waspmote options for wireless connectivity include 3G, GPRS, 802.15.4/ 6LoWPAN, 802.11 WiFi, Bluetooth and LoRa. A combination of multiple different radio interfaces can also be chosen. Waspmote’s hardware architecture has been specifically designed to enable extremely low power consumption. Power to any of the sensor interfaces can be turned on and off under software control, as well as power to the radio transceivers. Waspmote, an open source wireless sensor network platform is an easy-to-implement platform to integrate with your needs for an IoT solution. Getting started is easy with Waspmote Starter kits. 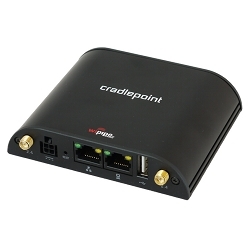 M2M Connectivity is pleased to present the Cradlepoint range of products in Sydney. Adnon Dow VP of Cradlepoint Channel Sales will deliver a presentation on the Cradlepoint range of 4G LTE / 3G networking solutions. The presentation will be followed by drinks and the opportunity to speak to Adnon and the M2M Connectivity team and view the range. Join us for this free event. Numbers are strictly limited. To reserve your spot RSVP by October 7. Click here to RSVP. Please provide your details: full name, company and contact phone no. 2. Click on the device for which you want to change the name. 3. On the top there is home button with Device Details (by default) written beside it. 4. 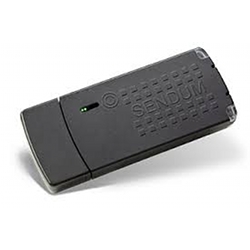 Click on Device Details and assign any name which makes this device easier to distinguish when you have multiple Sendum devices. 5. Click save. Now you will see Device Details has been changed with your personalised name. Also the MDN, device identifier, device type is still shown below it.